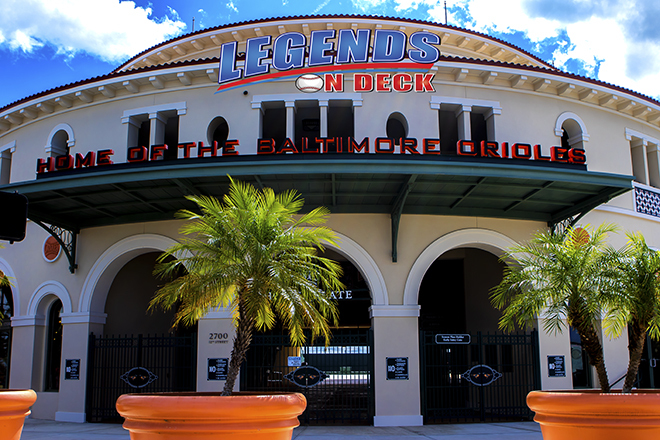 Here at Legends on Deck our passion is prospects and the offseason presents an outstanding opportunity for us to showcase some of baseball’s top up and comers. Throughout the offseason, we will be bringing you the top ten prospects from all 30 organizations. We will start with the Arizona Diamondbacks and work our way alphabetically all the way through the Washington Nationals. This series is the opinion of Jake Berry, Senior Editor at Legends on Deck and does not reflect any official MLB rankings. I’m certainly the high guy on McKenna, but I love the skill set. He is a high on base guy, something the Orioles could use, and is a proven outfielder. There is already gap power there due to his ability to find the ball with the barrel and he has shown signs of improving home run numbers over recent seasons. A big 19 year old righty with a knack for spinning it. The fastball lives in the mid 90’s, but has heavy spin and movement to it. He also has both a slider and a curveball. The ceiling is high for the former 11th overall pick and he has plenty of time to develop while the Orioles are rebuilding. He could be one of the top pitchers on the next good O’s team, assuming the rebuild goes according to plan with the new front office in place. Mountcastle will make his living in the MLB thanks to an advanced offensive skill set. He not only has the ability to make hard contact thanks to his quick swing, he also has a great approach at the plate with the ability to recognize pitches. His defense is another story, but the bat is good enough to keep him in the show. Hall has some improvements he can make in his fundamentals, but the stuff is already there. The lefty has a great mid 90’s running fastball that is complimented by a curveball that he can consistently throw for strikes. A good changeup, that still has room to develop, adds to a filthy repertoire. Hall is easily my favorite pitcher in this system and, if he hits his ceiling, should be a solid major league contributor. The highlight of the Manny Machado trade, Diaz became the consensus O’s number one prospect as soon as the deal was done. He was playing professionally in Cuba before the Dodgers signed him so he was familiar with a decent level of competition at a young age. The right handed hitter spent 2018 in Double-A where he posted an impressive .841 OPS with 11 homers and 12 stolen bases. He has an advanced approach at the plate as he struck out just 67 times to 59 walks in 2018, you all know how much I love that. Diaz has the best chance in this system to be an everyday MLB contributor thanks to his all around skill set. He is a plus defender with a good arm and solid speed. He makes consistent contact with a quick swing and I think the bat speed and barrel to ball skills show that he will have more power than most people think.